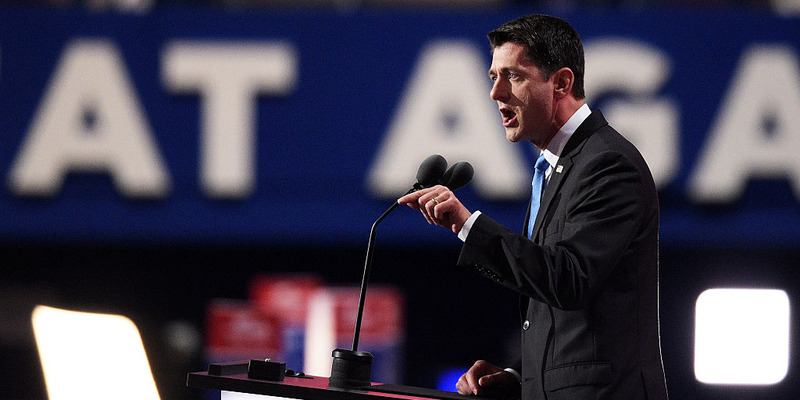 MAKE AMERICA WORK AGAIN DAY 2 - House Speaker Paul Ryan made a show of unity at the Republican National Convention, letting the audience know where he'd be found at the next State of the Union. "I don’t know where Joe Biden and Barack Obama will be. But you’ll find me right there on the rostrum with Vice President Mike Pence and President Donald Trump.” Ryan said the Democrats are offering a third Obama term "brought to you by another Clinton." MAKE AMERICA WORK AGAIN DAY 2 - Senate Majority Leader Mitch McConnell warned about what would happen if America elected Clinton as president. McConnell called Clinton a consistent liar, citing that she has changed her position on a number of topics. McConnell said Donald Trump will sign bills to repeal President Barack Obama’s health care law, build the Keystone pipeline and deny Planned Parenthood any federal money. MAKE AMERICA WORK AGAIN DAY 2 - National Rifle Association Executive Director Chris Cox took the stage between prime-time speakers for a broadside against Hillary Clinton. "We live in dangerous times. We’re worried and we have reason to be because our government has failed to keep us safe. You have to be able to protect yourself and your family and that’s what the second amendment is all about," Cox said. "A Hillary Clinton Supreme Court means your right to own a firearm is gone." 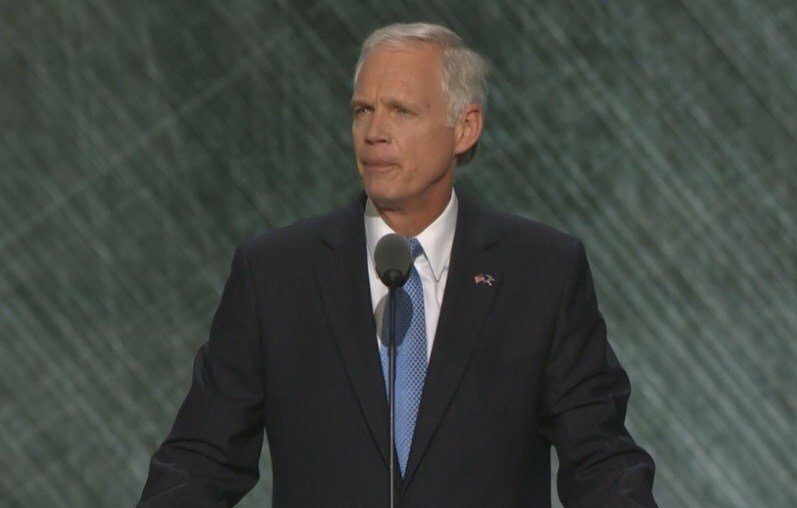 MAKE AMERICA WORK AGAIN DAY 2 - Republican Sen. Ron Johnson - In his speech, Johnson also lumps presumptive Democratic nominee Hillary Clinton in with Feingold, saying "the world is simply too dangerous to elect either of them." The speech has little focus on presumptive Republican nominee Donald Trump, who Johnson has said he supports but does not endorse. MAKE AMERICA WORK AGAIN DAY 2 - Andy Wist, the founder of a small New York company that waterproofs buildings. “We do exteriors.” Turning to other issues, he went on, “It’s a mess. Who’ll fix it? Hillary Clinton? Her only accomplishment is beating the rap every time she breaks the law.” On the other hand, “Donald Trump is a builder,” Wist assured the crowd. “The only way to keep the American dream alive is to elect Donald Trump.” Wist declaired. 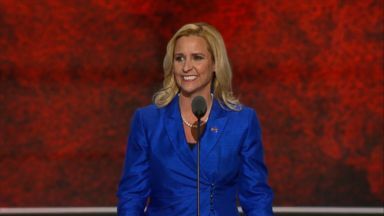 MAKE AMERICA WORK AGAIN DAY 2 - Arkansas Attorney General Leslie Rutledge took direct aim at former Secretary of State Hillary Clinton Tuesday night during her speech before Republican National Convention. "Sometimes, Hillary Clinton speaks with a New York accent. Sometimes, an Arkansas accent," Rudledge said from the outset of her five-minute-long address. "But y'all — this is what a real Arkansas woman sounds like," she said. MAKE AMERICA WORK AGAIN DAY 2 - Gov. 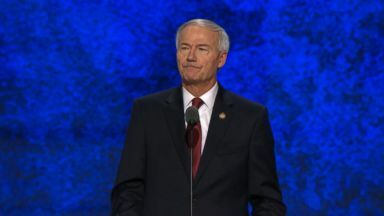 Asa Hutchinson told the crowd, "I have seen America at its best and I have seen America put to the test. There has never been a more urgent time for leadership." Hutchinson said. "America's strength and boldness are desperately needed on the world stage. And a new energy is demanded at home to build our economy and defeat terrorism. Strength, boldness, and new energy are not words that describe Hillary Clinton," Hutchinson said. "Donald Trump represents a different kind of leadership. He is exactly the kind of transparent, straight-talking leader American needs right now." MAKE AMERICA WORK AGAIN DAY 2 - Ultimate Fighting Championship president Dana White barely lowered his voice below a bellow as he delivered a testosterone driven speech in support of Donald Trump at the Republican National Convention Tuesday. "he's a hard worker, he's got great business instincts" White said of Trump. "I've been in the fight business my whole life. I know fighters. Ladies and gentlemen, Donald Trump is a fighter and I know he will fight for this country."